SEO Question: I was thinking about buying Google AdWords and AdSense ads or placing AdSense on my site. Will doing any of these increase my link count, Google rankings, or rankings in other search engines? Answer: PPC ads go through redirects, so they do not count toward your link popularity, but there are other ways to tie together PPC ads and organic search placement. Search engines claim there is no direct linkage between buying ads and ranking, but they only talk in ideals because it helps reinforce their worldview and help them make more money. Highly commercial keywords may have the associated editorial results go through more relevancy filters and/or be editorially reviewed for relevancy more frequently. Also, because they want people to click on the AdWords ads there is a heavy informational bias on the oranic search results. I know some people who have large ad spends that get notifications of new ad system changes ahead of time, and others who get to give direct feedback to allow them to participate in cleaning up search results and minimizing unfair competing actions in the ad systems. So that is one type of cross-over / feedback that exists, but I think that tends to be more rare, and the more important cross over / feedback that exists is an indirect one. You can't really explain why and how everyone does what they do. Some people who find your product and enjoy it enough to leave glowing testimonials will even tell you that they don't know how they found it. In the same way that targeted ads can lead to purchases, they can also lead to an increase in mindshare, brand, reach, usage data, and linkage data. Just by being real and being seen you are going to pick up quality signals. If you try to factor all of those into your ad buys most markets are still under-priced. A well thought out pay per click campaign can feed into your SEO campaign more ways than I can count. Here are a few examples. In a TV commercial Pontiac told people to search Google, and got a ton of press. Mazda quickly bid on Pontiac. Many companies also have strong ties between the legal and marketing departments. If buying or selling an ad gets you sued and gets you in the news the value of the news coverage can far exceed the cost of the ads and legal fees. When I was newer to the field one friend called me the original link spammer. He meant it as a compliment, and I still take it as one. In much the same way I was an aggressive link builder, I was also quite aggressive at ad buying. I caused controversy by buying names of other people in the industry as AdWords ads. I was prettymuch a total unknown when I did that, but some of the top names in the industry elevated my status by placing my name in heated discussion about what was fair and reasonable or not. You can always consider placing controversial / risky ideas or ads against your brand or competing brands as a way to generate discussion (but of course consider legal ahead of time). When the nigritude ultramarine SEO contest started I bid on AdWords. Some people discussing the contest mentioned that I bid on that word. If an event bubbles up to gain mainstream coverage and you make it easy to identify your name as being associated with it then you might pick up some press coverage. Industry buzz words that are discussed often have significant mindshare, get searched for frequently, and larger / bureaucratic competitors are going to struggle to be as plugged into the market as you are or react as quickly to the changing language. When a friend recommended I read the TrustRank research paper in February of last year I knew it was going to become an important idea (especially because that same friend is brilliant, helped me more ways and times than I can count, and was the guy who came up with the idea of naming the Google Dances). I read it and posted a TrustRank synopsis. In addition to trying to build a bit of linkage for that idea I also ensured that I bought that keyword on AdWords. Today I rank #1 in Google for TrustRank, and I still think I am the only person buying that keyword, which I find fascinating given how many people use that word and how saturated this market is. If your ads are seen on forums people may ask about your product or brands. I know I have seen a number of threads on SEO forums that were started with something like I saw this SEO Book ad and I was wondering what everyone thought of it. Some people who start talking about you might not even click your ads. Each month my brand gets millions and millions of ad impressions at an exceptionally reasonable price, especially when you factor in the indirect values. I have seen many people advertise on AdSense targeting one site at a time, placing the webmaster's name in the ad copy. It may seem a bit curt for some, but it is probably more likely to get the attention of and a response from a person than if you request a link from them. Ads are another type / means of communication. I get a ton of email relating to blogs and blogging. And in Gmail I keep seeing Pew Internet ads over and over and over again. Their ads range from Portrait of a Blogger to Who are Bloggers? Going forward they will have added mindshare, link equity, and a report branded with that group of people. When people report on blogging or do research about blogging in the future the Pew report is likely to be referenced many times. Given the self reinforcing nature of links (see Filthy Linking Rich) anything that undermines your authority will cause you to get less free exposure going forward. So you really have to be careful with monetization. If you do it for maximal clickthough rate that will end up costing you a lot of trust and link equity. There are other ways to improve your AdSense CTR and earnings without costing your credibility and authority. Given the lack of monetization ability of a new site with few visitors and the importance of repeat visits in building trust and mindshare you don't want to monetize a new site too aggressively unless it is an ecommerce type site. It is hard to build authority if people view your site as just enough content to wrap around the AdSense. In the past search engines may have discounted pages that had poison words on them. Search is all about math / communication / patterns. If your site fits the footprints of many spammy sites then your site might be flagged for review or reduced in authority. MSN did research on detecting spam via footprints, and link spam detection based on mass estimation shows how power laws could make it easy to detect such footprints. Graywolf recently noted that landing page slippage may be an input into landing page and site quality scores for AdWords ad buyers. Google could also use AdSense account earnings or AdSense CTR data to flag sites for editorial reviews, organic search demotion, ad payout reduction, or smart pricing. I work for a Media Buying agency in the UK. We manage both paid search and affiliate programs for our clients internally. 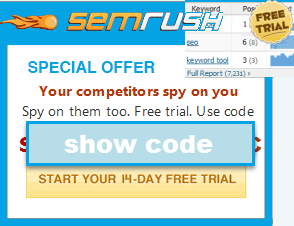 We want maximise the use of SEM affiliates for our existing search campaigns. Historically for a number of advertisers we have stipulated to a selected group of affiliates which branded keywords they can bid on and the max cpc. But we want to engage SEM affiliates even further. Can anyone offer advice on how to integrate SEM affiliates within an existing search strategy. Yes, i think the adwords can not increase link count, Google rankings. Aaron - Great post with really great thoughts. I definitely agree that adwords is a great way to brand. If someone is searching for companies to work with and they keep seeing your brand show up in the ads they can unconsciously give your brand authority even before visiting your site. When I start a new site one of the first things I do is start google adwords, if just for a few keywords. Not sure if it helps, but I look at it as one more way to tell Google, hey I'm real. Thanks, your blog is fantastic. Great post. I also have used AdWords when launching a new site, and I think it really helps, especially if your site is in a niche where not to many of your targeted keywords have been bid on much. I was not really in the favor of Adwords till date and thought it to be a waste of time and money. After reading your post my I think I was wrong and now I understand that if used sensibly Adwords can be good to promote your new products in a smarter way. Follow the right technique for the right thing at the right time. Just reading your book at the moment and think it is fantastic. I am new to SEO and am taking your advice of putting a link on your site to feed back to my site. I love that a lot of your marketing relies more on creative original ideas than SEO techniques. Thinking outside the box is really the most cost effective way to market anything. For my first business.. a Speed Dating business in Glasgow, I got a picture of me and me girlfriend having a romantic dinner in the middle of the road in the city centre. The local paper liked it so much they put it on the front cover of the paper for valentines day. Didn't cost me a penny! Creativity combined with a solid foundation ie link building etc can be a priceless combination. hi,Michael, Does adwords works for your new site? I got some illegal clicks from adwords. have you ever got some illegal clicks? But you missed the point about being relevant to the thread. Also if you are aggressive with keywords in your name it looks somewhat artificial...so better off just putting your real name there. Like the guy who was php hosting above...no way do I want to give that guy a link because it will devolve, then buy viagra online will start commenting on every post. You forgot about personalized results. Websites that people have already visited will usually rank higher on subsequent queries if you have that feature enabled. If you search for something new; It seems to me that it has little effect at first, because it's a new neighborhood with no history. It might pay to have a PPC listing for the most generic of terms instead of the generic long-tail "transactional" terms. This PPC visit might help the advertisor rank higher on subsequent searches and query refinements as the person gets closer to the purchase. If you pay for something generic like "Widgets" or whatever, you might have better luck getting them for free on the long tail "transactional" terms like "Brand X Blue Widgets" when they are ready to buy something. I have no idea if that will pay off in the long run for a small advertiser though. Small shops are the least likely to purchase the high volume generic keywords like "Las Vegas", "Shoes" or "Digital Cameras"
I know of some individuals who have had a lot of success as affiliates optimizing and monetizing websites for the long tail searches. A four word query like "Brand X Blue Widgets" is much easier to rank well for than the single word "Widgets" These Niche websites might start to disappear as personalized search results become more popular. The Personalized Results seems designed to work with PPC ads to help reinforce the "Mathew effect" where a disproportionate level of attention goes to people who are already famous and not necessarily to people who might be more relevant and deserving of the attention. In my mind, relationships are often more grey than black and white. Although some friends at Yahoo highlighted to me the need to keep church and state on things like this. They are two arms of the one body right? At one client, we once found that the site was crawled faster once we had started the google adwords campaign. So did it impact SEO ranks? Don't think so. But it did help to be in the mix faster, thats for sure. I have also heard more than once the notion of 'site popularity' in factoring search results - meant in respect to the number of people coming onto a site and using it rather than backlinks. So if how many people were visiting your site was a factor in rankings then getting traffic from PPC should certainly help a site IF it was measured on this basis. ive never had any luck or benefits from using adwords. Great point about the personalized search functions being implemented not only on Google but other SE's as well. Just getting someone to your site once becomes more valuable. I hadn't thought of that before. As always Aaron, your original post was very insightful. Still, many people do not understand AdWords, and still AdWords has a lot to improve on. Branding is such an abstract concept to most Online Marketers who focus so intensely on immediate results. Are Google.com Ethics for Sale?